Let us take the hassle out of your next event! BM&T Catering has several great spaces that are perfect for your next event. Whether it’s an after work social, private dinner, bridal brunch, baby shower, or bachelor party, we have the perfect space for you, as well as a culinary team that can put together a perfect menu for your next event. Our six locations offer the perfect place to make your party a huge success! We offer great food, drink and a great atmosphere. We offer a number of affordable packages! Whether it’s a birthday, graduation, bachelor, or you’re just in the mood for a party, let us take care of you at any one of our newly renovated locations in the heart of Albany. 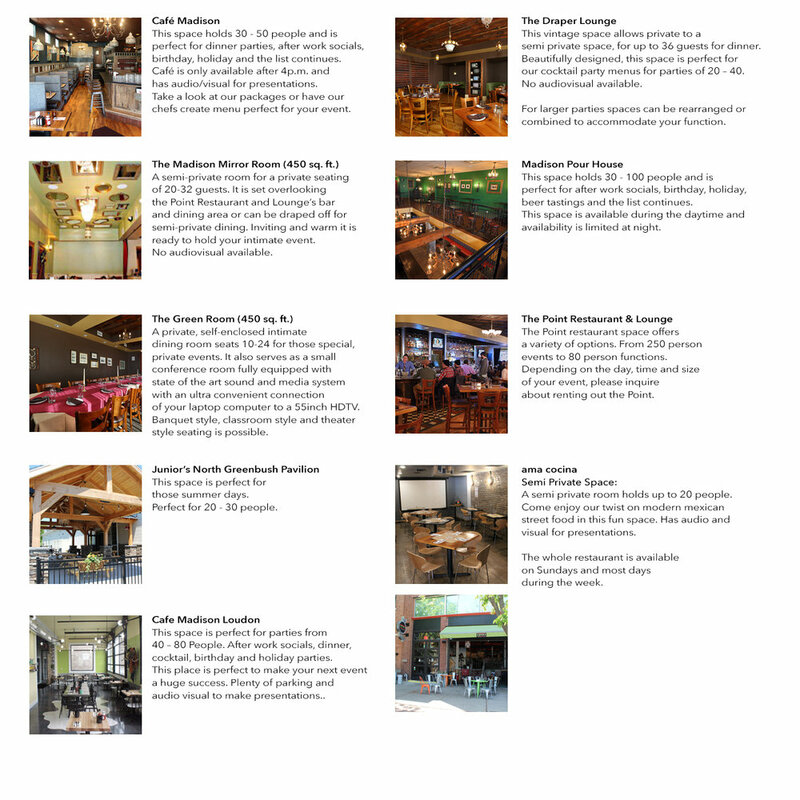 Our six locations offer the perfect place to make your party a huge success! We offer great food, drink and a great atmosphere. We offer a number of affordable packages! For more information, email Sabrina at party@bmtmgt.com. BMT loves to help out. If you have an event we would love to provide you with a space and special pricing depending on the size, date and type of fundraiser event you are doing. Please contact us at: party@bmtmgt.com.